We Montanans need to heed our past when it comes to our natural resources. We do not have to look far to be reminded of mining and timber concerns leaving us with forests that cannot regenerate, the Berkeley pit and the largest environmental Superfund site in America. Fortunately, with more public awareness and regulation, natural resource industries are setting better examples while providing Montana with vital jobs and supplying raw materials needed for growth and prosperity. The question becomes where it is appropriate to harvest timber as opposed to setting yet another bad example for present and future generations. The current proposal by the DNRC (Department of Natural Resources and Conservation) for harvesting timber in Limestone West, at Bozeman’s southern edge between Ft. Ellis and Triple Tree Trail, seems ill-conceived at best given the proximity to Bozeman and the value of this land to the citizens of Bozeman. The proposal is already negatively affecting property sales and values and will impose direct and indirect economic hardships on the citizens of Bozeman, along with fundamentally changing our quality of life for years to come. Our state government intends to do this for little short term gain. In 1889 when Montana became a state and Congress enacted the Enabling Act granting each Montana Township Sections 16 & 36 for State Trust Lands, the population of Montana was 243,329, with approximately 2,000 Bozeman residents. The need to raise money for schools and public buildings through Trust Lands, and the impact of this on neighboring population, was far different from today. At that time the only value placed on land was tied to the resources that could be extracted. Aesthetics, view sheds, wildlife, environmental impact, and outdoor pursuits were not mitigating factors. Bozeman is Montana’s fastest growing city, and is constantly listed as one of America’s most desirable communities. Our lifestyle, love of nature and outdoors, and the access to trails weaving in and out of old growth forests are contributing factors to Bozeman’s appeal. The Triple Tree Trail, whose aesthetics will be decimated by Limestone West Timber Sale, is at the heart of what makes Bozeman special. It is an irreplaceable treasure. Countless children are introduced to the joys of nature by making their first hikes into this thick, abundant, vibrant lodge pole forest that stretches as far as the eye can see across drainages and ridge lines. The question the DNRC must answer to us, the citizens, is whether the economic value they have placed on the removal of this timber accurately reflects a gain for Montana, or a true loss beyond mathematical calculations. Common sense dictates there will be disruption to the eco-system, wildlife habitat, the enjoyment by citizens of the outdoors, view sheds, and a decline in real estate values resulting in a decline in property tax revenues. The true economics of Limestone West are difficult to analyze with the minimal information provided by DNRC combined with their history of ignoring the full cost of a project in order to inflate the profit and justify the program. Limestone West will supposedly yield 6 million board feet of timber harvested from an area encompassing 2,725 acres. Last year, according to DNRC, their sale of timber averaged $220 per 1,000 board feet. At best, this translates to $1,320,000 in gross profit if Limestone West proceeds. The DNRC claims they will net approximately $700,000 to transfer to public schools and buildings-notably Montana Tech in Butte. They claim a 50% or better profit, when private companies are pleased with 10%-to-25% net profits. DNRC calculates profit without taking into consideration basic business costs including staff salaries. A realistic net profit is closer to $330,000, earmarked for Butte. Meanwhile, Bozeman’s property tax base, that funds our local schools, is undermined. DNRC stated that they were not aware of any studies demonstrating the effects of logging on adjacent property values. Does ignorance become their excuse? Is the lack of data a reason to go forward with their project? 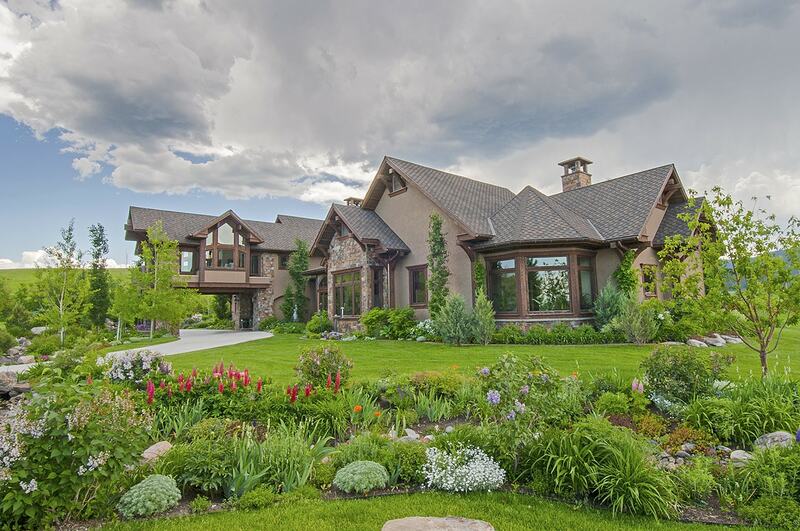 Mike Schlauch and Sally Uhlmann are experienced real estate professionals in Bozeman and frequently represent buyers and sellers of homes and land within the view shed of the project area. A recent Eagle Rock Reserve sale’s contract was terminated specifically due to the buyer’s concerns about this project and its long-term impact on quality of life and property values. This, along with our expertise, supports our opinion that Limestone West will likely result in a decrease in property values, property tax revenues, and will be a major barrier to owners attempting to sell properties in proximity to the project and those enjoying Southeast Gallatin Range views. “Time is of the Essence” is a key real estate phrase. This project can easily be drawn out 3 or more years. Meanwhile, it is now a “Disclosure” item for all real estate transactions in which a property is remotely impacted. Mike and Sally know buyers do not want unknowns. None of us welcomes the constant sight, sound, smell, and intrusion of bulldozers, chainsaws and logging trucks, let alone the aftermath of their carnage, happening in our pristine backyard. Timber is a vital industry, but this is an inappropriate location for logging. In our informed opinion, real estate transactions in the affected area will decrease possibly 20% or more during the project’s time frame, and property values can easily decrease 10%-to-30% or more, with recovery time an unknown. The DNRC isn’t concerned with our quality of life or view sheds. They are focused on their need to meet their mandate and extract resources. It is up to us to insist there is a better way for the DNRC to raise an amount of money which even they cannot yet calculate rather than permanently change a natural masterpiece. Perhaps it is time to re-examine Trust Lands? History proves that once this forest is devastated, it will not recover in most of our lifetimes. “Trust” is not a word that easily translates to pillaging a thriving community’s adjacent and viewable resources.